Billy Casper Golf announced the winners of the company's annual “Buffy Awards” during its 30th anniversary celebration last month in Kissimmee, Florida. These awards honor the exceptional team members and facilities by recognizing their guest satisfaction, operational excellence and business performance, all while holding true to the Billy Casper Golf company values. 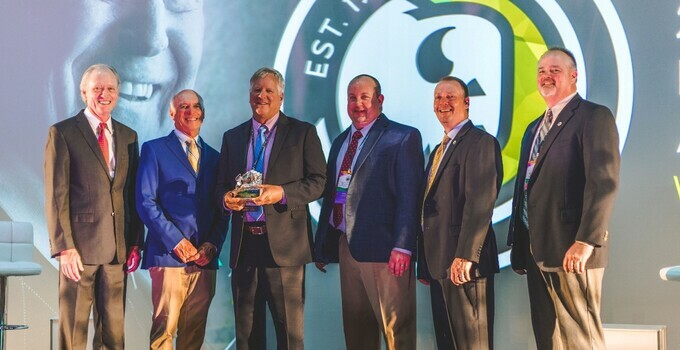 Superintendent of the Year: John Spiwak of Eastpointe Country Club in Palm Beach Gardens, Florida took home the Buffy Award for going above and beyond in all areas of agronomic management. Respected by his co-workers and peers, Spiwak oversees the club’s two Tom Fazio-designed championship courses. The East Course opened in 1974 and is lined with emerald green Bermuda grass, shimmering lakes and rolling fairways. The West Course opened in 1982 and places an emphasis on precision shot making as a key to success. John and his team continuously maintain both layouts in pristine condition year-round. Eastpointe’s honor also represents back-to-back wins in the “Superintendent of the Year” category for Billy Casper Signature clubs. In 2018, Pat Franklin of The Meadows Country Club in Sarasota, Fla. took home the illustrious award. The Meadows features three unique 18-hole layouts in The Meadows, The Highlands and The Groves. For a full list of regional award winners, click here.